While he is not especially a fan of romance novels in general, my hubby is a fan of mine in particular. So, to celebrate the book deal and the agent representation, he has given me a series of gifts that I cannot resist showing off. I can't help but crow a bit not because of the gifts themselves (although they are spectacular) but because of how wonderful he is. Since then, he has secretly been on a buying spree for items to inspire me, items that are connected to my writing. 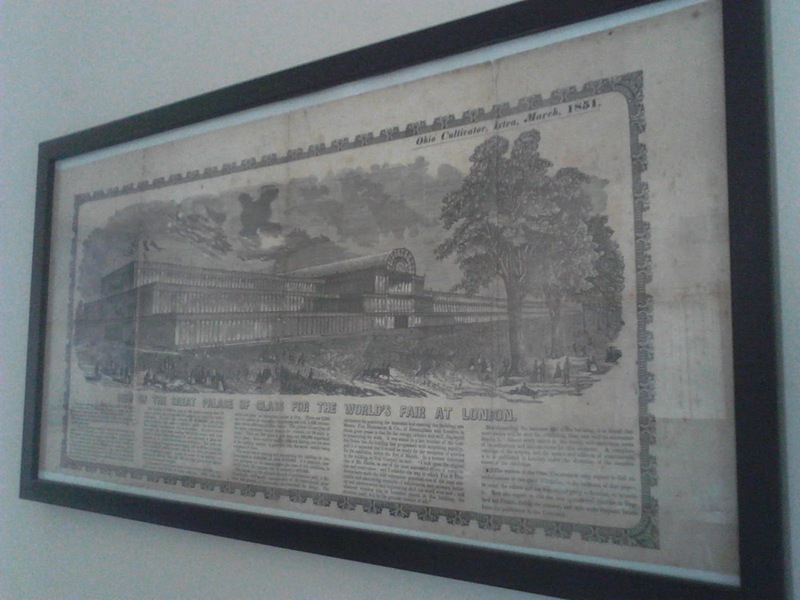 This framed engraving (left) is from Gleason's Pictorial Drawing-Room Companion, an American 19th-century periodical. 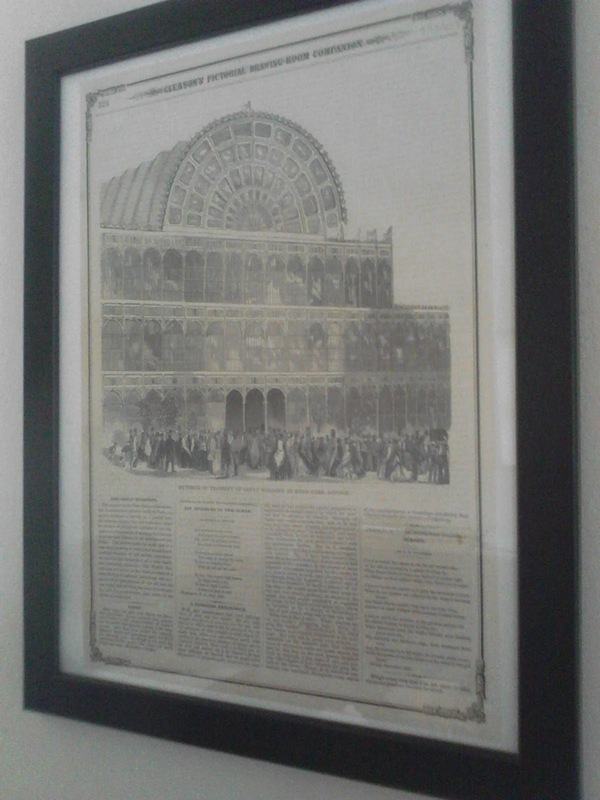 Dated September, 1851, the engraving depicts the entrance to the Great Exhibition. This framed engraving (right) displays much more of the Crystal Palace. 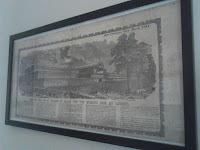 This was printed in the Ohio Cultivator in March 1851, before the Great Exhibition opened. Both of these pieces are far more impressive in person than in these photos (taken on my Smartphone). They are the original printings from 1851. The larger print from the Ohio Cultivator certainly shows signs of age and damage. And, to me, they are breathtaking. Hubby says there's another on the way. How can I look up from my writing desk and not be inspired by them? And how could I not be inspired by the thoughtfulness and care and love with which they were selected? Why I feel like singing AND dancing today - a book deal! 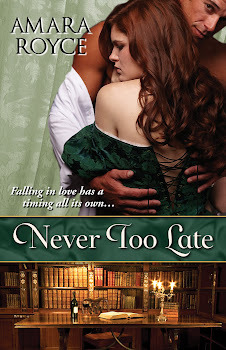 I am very, very, very pleased to announce that I now have a two-book ebook deal with Kensington Publishing for my historical romance Never Too Late and a second book set in Victorian London during the Great Exhibition of 1851. Never Too Late is planned for release as an ebook by eKensington in 2013! Why I feel like bursting into song today: I have an agent! I am tremendously, outrageously, sublimely happy to announce that I am now represented by Jessica Alvarez of BookEnds, LLC. The past ten days have been an unbelievable whirlwind, and I'm still reeling! As you can probably already tell from my previous posts, I'm not very into self-disclosure (no, really, I'm not) so I won't go into all the details of my query process and such. But one thing I would like to share is that I ended up with three offers of representation from agents. I got THE CALL from all three of them on the same day, and, yes, that was a surreal day. Here's the reason I'm sharing this--It can seem strange and perhaps disheartening when you're sending out queries and partials/fulls and keep hearing that "this is a very subjective industry" (or some permutation of that statement). Yet when I ultimately decided to go with Jessica, it really was a subjective decision. All three of the agents were wonderful, reputable agents from highly respected literary agencies! I would have been lucky to work with any of them. And so my decision came down to the agent I felt was the best fit for me, the most suited to the way I work, the most in tune with my vision and goals, etc. So now I can see from a new perspective what that "subjective industry" means. An agent really has to feel "it" to offer representation. And a writer really has to feel "it" to know that's the right agent for him/her. I can also say that, in the short time I've been Jessica's client, I am already amazed by her drive, her enthusiasm, and her supportiveness. She is everything I would wish for in an agent and more. Members of the Compuserve Books & Writers forum and the Absolute Write forums, both of which I mentioned in my last post, have already helped me celebrate this writer milestone. And I appreciate each and every one of them for their support. If you're reading this, I also appreciate your visit here and wish you every success! Some writers can and do make a career working in isolation. They may never share a word of their writing or communicate with others in the writing and/or publishing communities until their work lands on an agent's or publishing editor's desk. Support and insight from other writers, published and unpublished. Whether you have questions about some elements of effective writing or about genre or about specific scenes or about problems you're having with a manuscript, you'll find lots of other people in similar situations and lots of people who can provide answers. I have to say...I have moments of fangirl giddiness when, such as on the Compuserve Books & Writers forum, I get responses from BIG authors. Still, I also get lots of valuable responses from unpublished writers and writers all along the publishing continuum. And it's fascinating to see what other writers do, how they work, what their experiences are. Lots of information about the process of getting into publishing, including the query process. For instance, the Absolute Write forums have one devoted to threads about different literary agencies and publishers and another (password-protected) devoted to critiquing query letters. Potential for feedback on your manuscripts. Keep in mind--it's not very nice to go into any situation with a, well, selfish attitude. So I wouldn't recommend anyone jump into an online writing community and immediately start asking for beta readers or editing help. These are not drop-in freebie services; they are communities where, ideally, members are there to support and assist each other. In fact, both of the communities I recommend below have standard participation/reciprocation requirements for anyone seeking feedback. A sense of community. You aren't alone. You don't have to flounder through some of the complexities of learning to write, polishing your manuscript until it shines, delving into the publishing industry, or promoting your writing all on your own. You'll find that there are plenty of writers willing to share their experience and wisdom with you. I'm sure there are more, but these benefits are the ones that stand out for me. Compuserve Books and Writers forum (B&W)- I first learned of this forum when I started reading Diana Gabaldon's Outlander series. When I started fiction writing, I was very impressed by the warmth, supportiveness, and collective wisdom of the Forum. I also love their Writer's Exercises section, which offers a different exercise or set of exercises each month, usually led by an expert member of the Forum. For instance, one month, there was a set of character development exercises--a new exercise each day designed to help you get a deeper, stronger sense of one of your characters. I found it tremendously valuable. In my view, this is a very intimate, professional, informative, and supportive environment. Absolute Write Water Cooler forums (AW)- I first encountered Absolute Write sometime after the B&W forum. It's very different but equally beneficial. Absolute Write has a completely different structure than B&W; it's broken down into sections like Genres (in terms of what genre you're writing), Publishing, Freelance, etc., etc. It also draws what seems like a wider, more diverse audience. B&W has members worldwide, but AW seems to draw a wider array of personalities, sometimes snarky or sardonic ones that I don't find on B&W. I find some of AW's forums, like the "Bewares, Recommendations, and Background Check" are to be a gold mine! But then, when I want responses to my actual writing, I rely on B&W forumites. There are plenty of other fine online writing communities as well. These happened to be two I gravitated toward. And an entirely different community might be a better fit for you. Feel free to mention others in the comments section!